tcs: so kind of tight games, eh.. I wish they spread 1/2 or 2/4 games, then should attract fish. Just got back to Singapore. Do they still have games in RWS now? How big are the game nows usually? Any other places? How are the standards in RWS compared to online? I'm assuming 5/10 plays a bit like NL25 online? 5/10 plays like 25nl online ??? lol , 5/10 at rws , is basically a combo of retired old guys with lots of money trying the game out and a bunch of spewtards from the home games who've moved there trying to huat here and there . Its soft as hell for any decent player . You do need to be fully rolled as the swings are big from all the spewing . nutupshutup wrote: 5/10 plays like 25nl online ??? lol , 5/10 at rws , is basically a combo of retired old guys with lots of money trying the game out and a bunch of spewtards from the home games who've moved there trying to huat here and there . Its soft as hell for any decent player . You do need to be fully rolled as the swings are big from all the spewing . well, in vegas, loads of people have said 1/3 there plays like 5nl online, in terms of skill level. 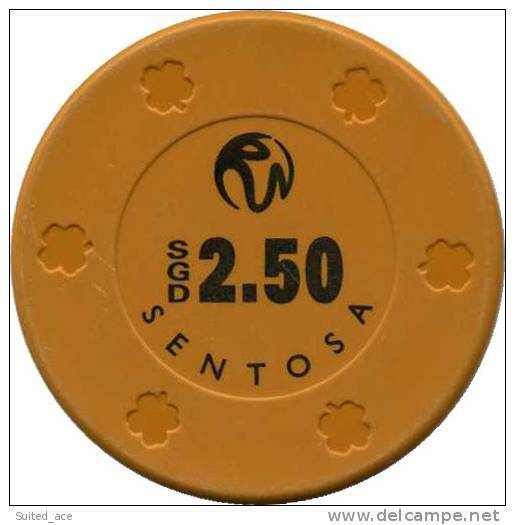 can anyone please tell me if there are any tourney held in the casinos in sigapore? I heard a rumor about a ship which goes off shore to hold a comp once a month.... not sure if its true of someone was pulling my leg? And the decent player that thinks the game is soft as hell but keeps losing because he is on the bad side of variance and has since stopped going because he is not fully rolled. so does anyone know of any decent comps in singapore with a decent turnout of runners? How are the games currently going in Singapore (Resorts World and Sands if it has a room)? What stakes run daily? What hours do the games run? How is the rake? I think nutupshutup is living in a world of his own. Played with you before. You've got a big mouth and ego which sadly doesn't match your ability. The way you play, the only game which you'll be up a ton is Holdem Low event, (where the losing hand wins) which sadly is not made popular yet. However, think about it. You could actually put Singapore on the world map by introducing the game you dominate to the world. Go look at your own stats on officialpokerrankings.com before you even talk back. You're not in nat's league my friend. By the way, I remember that look on your face when you were on tilt at Keng's 1/1 game the night you lost 2000bbs. Lol you looked absolutely pathetic like u just crawled out of a sewer.